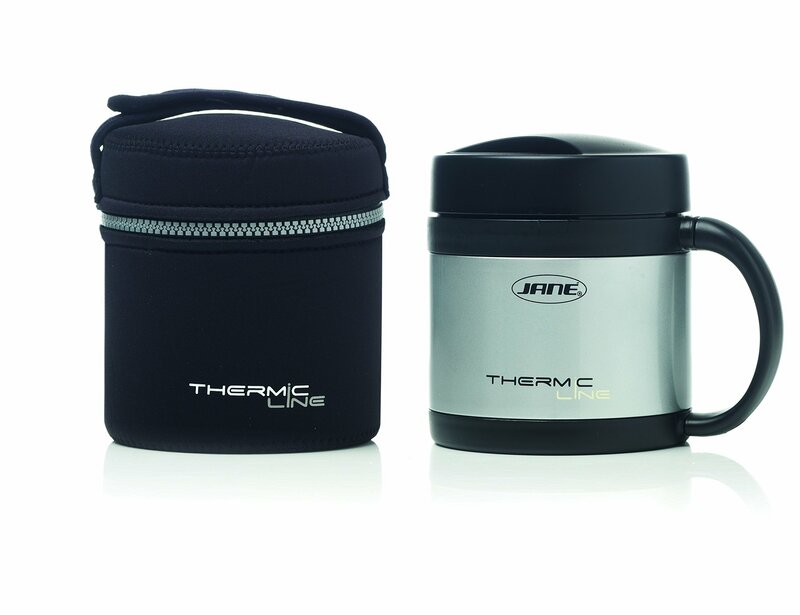 Stainless Steel Thermic food flask 500cc. This ia a 500cc / 16 ounces liquid flask. This is a colourful yet stylish design of flask by Jane. We recommend you fill the flask with boiling water for 5 minutes to heat the flask walls up first. This will ensure the liquid stays hot for longer. It has a double closing system. The first smaller lid is sealed with silicone to prevent liquid from leaking out. The outer lid is bigger and can be used as a bowl/cup making it easier to feed the child and leaving the rest of the liquid inside the flask so it stays hot. Comes presented in a gift box so is an ideal gift.